AllegroMedical.com offers the very best in arthritis kitchen aids & utensils, as well as handicapped cooking aids and equipment. Choose from the very best brands, including North Coast Medical, Reizen, Drive, Dycem, Sammons Preston, and more. 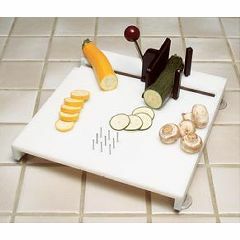 Enjoy access to a huge range of discount arthritis kitchen aids, utensils for disabled & handicapped cooking aids that include T knives, cutting boards, pan holders, footstools, jar and bottle openers, rocker knives and so much more. AllegroMedical.com offers the very best and highest quality kitchen aids and utensiles, along with other specialty kitchen accessories and cooking aids at the lowest prices guaranteed. See our Best Price Guarantee for more details.